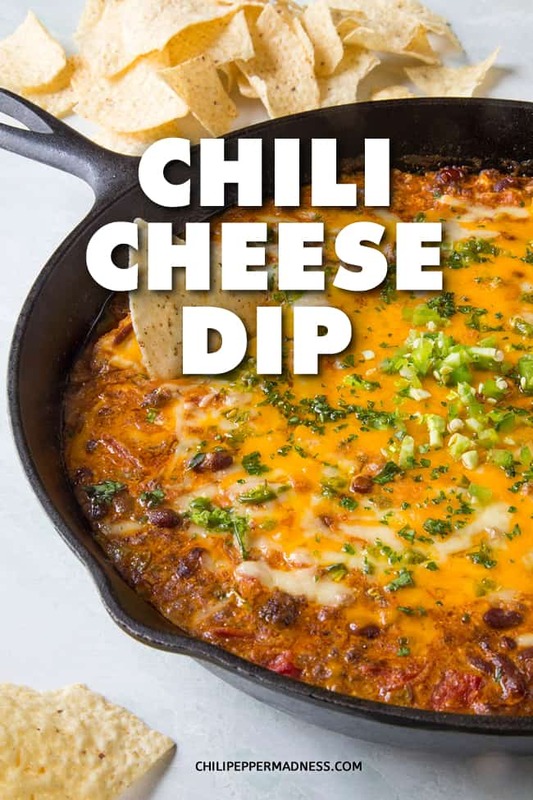 An easy party chili cheese dip recipe made with cream cheese, cheddar, Monterrey jack, jalapenos, ground beef and chili powder. Perfect for game day! All in one pan. Done in 30 minutes. 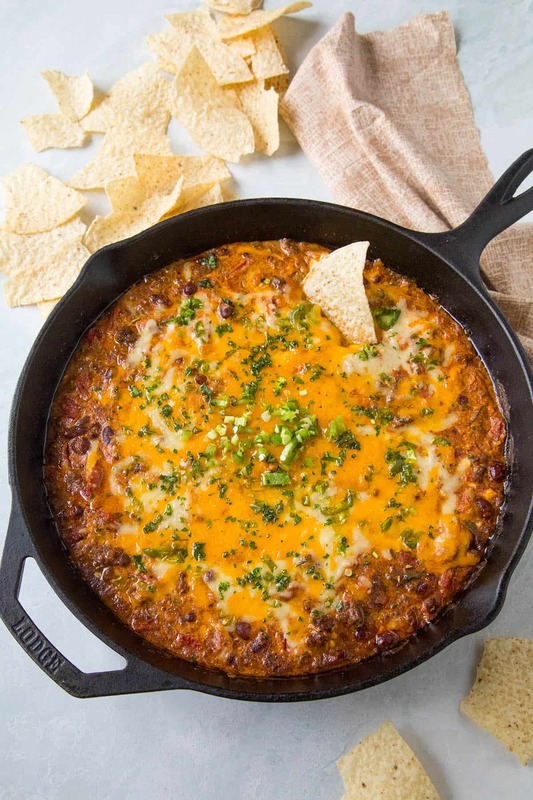 If there is ever a party or game day appetizer or dip recipe to have in your back pocket, this meaty chili cheese dip recipe is the one. 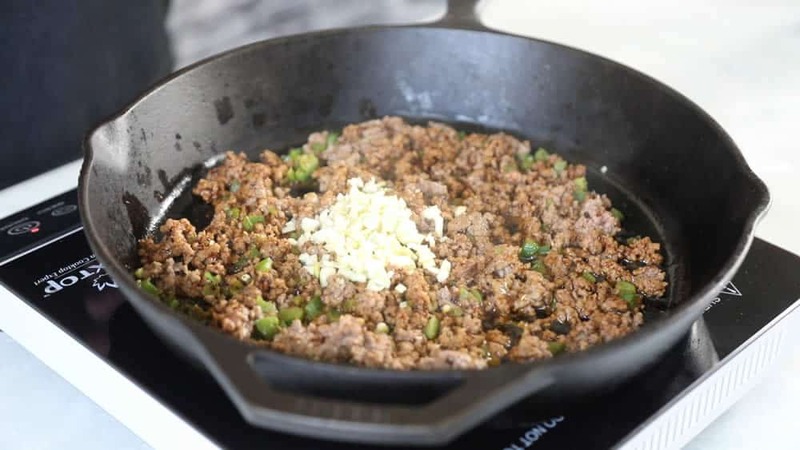 It’s not only super cheesy and nice and spicy from jalapenos and chili powder, it’s also nice and meaty because we’re incorporating ground beef into the mix. 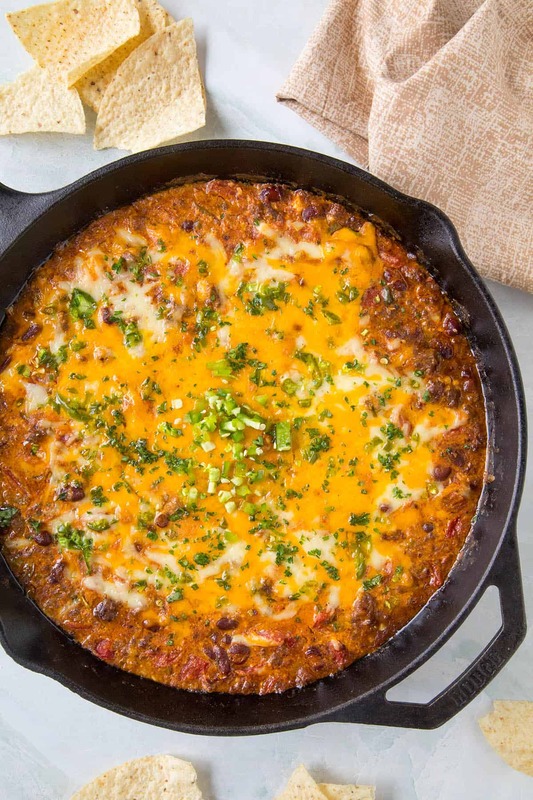 I love my chili cheese dip with meat! 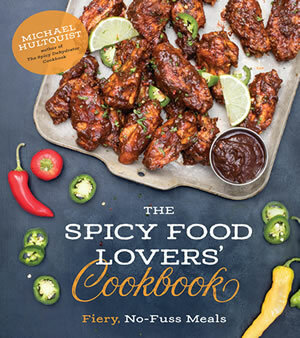 This will definitely feed a crowd. If you’re throwing the party for game day, or really for just about ANY party, if you make the chili cheese dip, everyone will be happy. I love that it’s also SUPER EASY to make, all in one pan. You can get it ready ahead of time, then bake it and set it out as people arrive and settle in. First, heat a large oven safe pan to medium heat and add jalapeno peppers. Cook a couple minutes to soften. 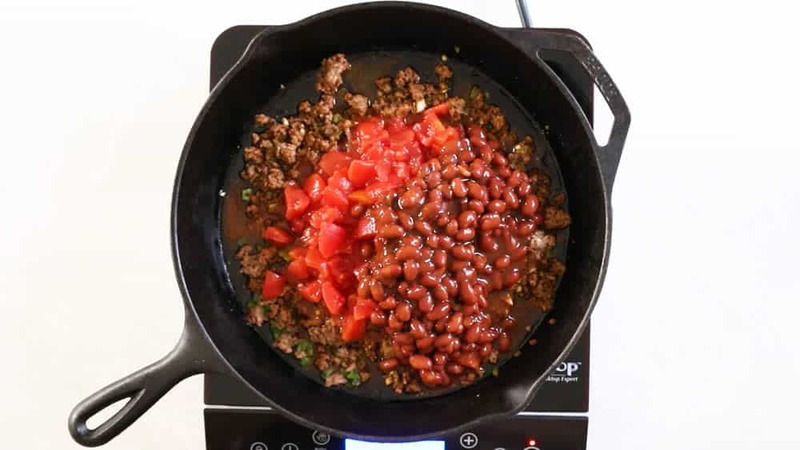 Add ground beef and chili powder. 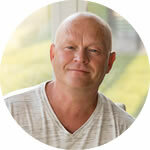 Break apart with a wooden spoon and cook 7-8 minutes, until cooked through. Add garlic and stir. Cook another minute until nice and fragrant. Stir in tomatoes and chili beans. Add cream cheese and stir until it is melted through and incorporated. Stir in the shredded cheeses until melted through. 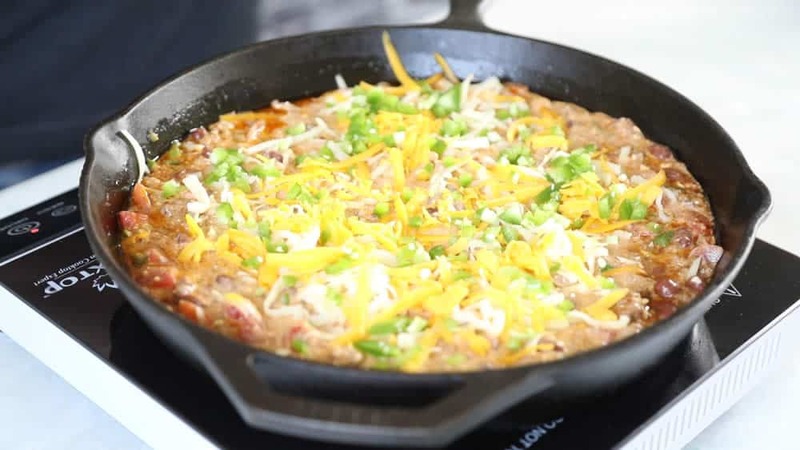 Remove the pan from the heat and top with extra shredded cheeses and sliced jalapeno peppers. Alternatively, you can transfer the mixture to a baking dish, then top with cheeses and jalapenos. 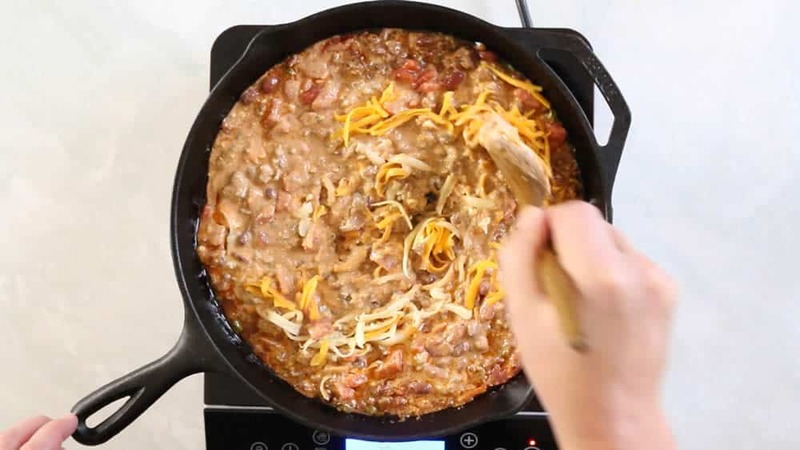 Bake at 350 degrees for 20 minutes, or until the chili-cheese dip is nice and bubbly. Top with fresh parsley and serve with chips! Looks AWESOME, doesn’t it? I love this stuff. It’s always a big party hit. You may need to make a double batch. Get going! You can make this recipe without the meat. 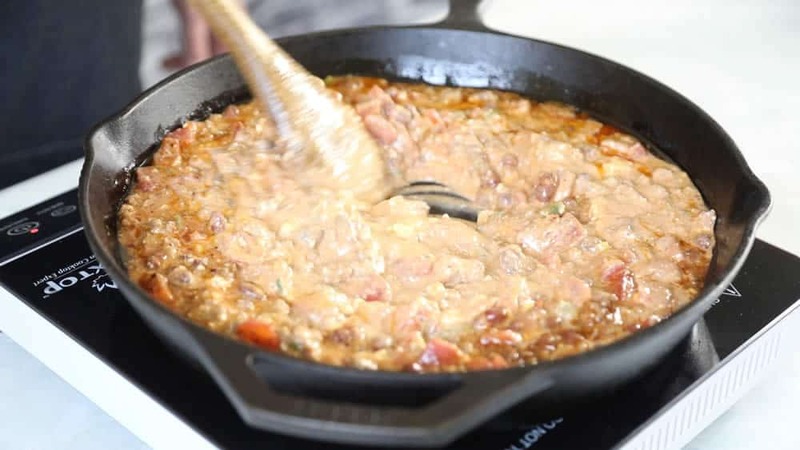 A good substitute would be using refried beans. 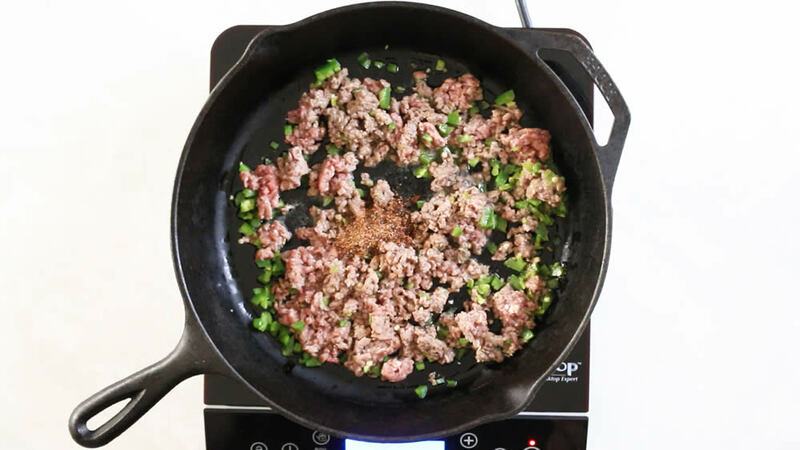 You can sub in ground turkey or ground chicken instead of the ground beef for a lower calorie version of this recipe. Chorizo is a nice addition for extra spice and flavor. You can also use other cheeses, as long as they’re nice and melty. That’s it, my friends! 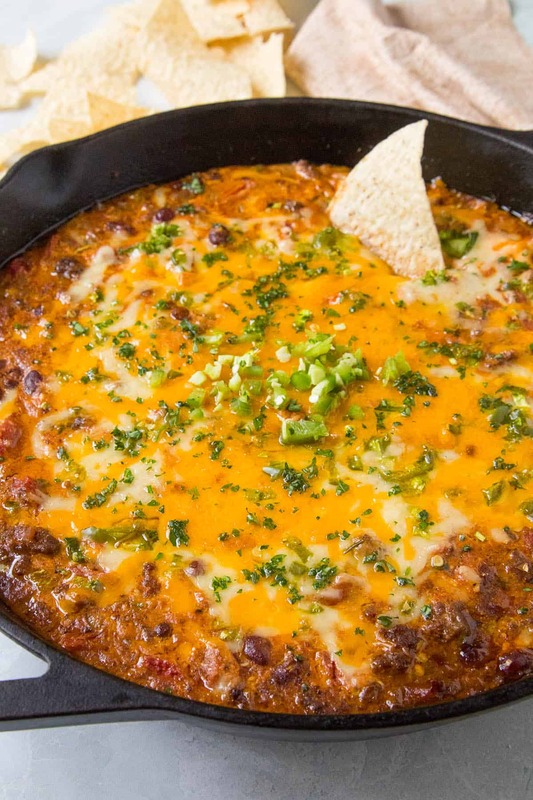 I hope you enjoy my meaty, beefy, spicy chili cheese dip recipe! It’s one of my favorites. Heat a large oven safe pan to medium heat and add jalapeno peppers. Cook a couple minutes to soften. Heat Factor: Medium. You can dial back the heat by coring out the jalapeno peppers before using them, and substituting the chili powder with a milder spice. 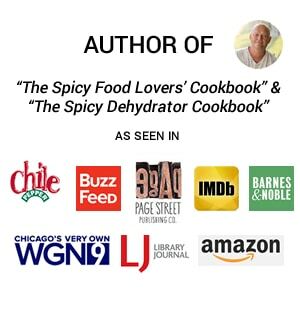 See these substitutes for chili powder. 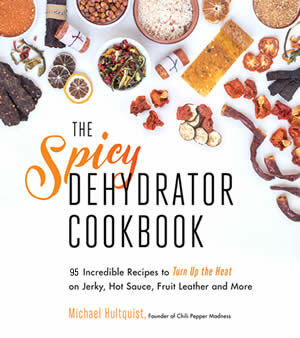 Up the heat factor with spicier peppers, like serranos or habaneros, or both! I like a pinch of ghost pepper powder sometimes for me. This dip didn’t last at all. Got some really nice compliments on it. Great recipe.